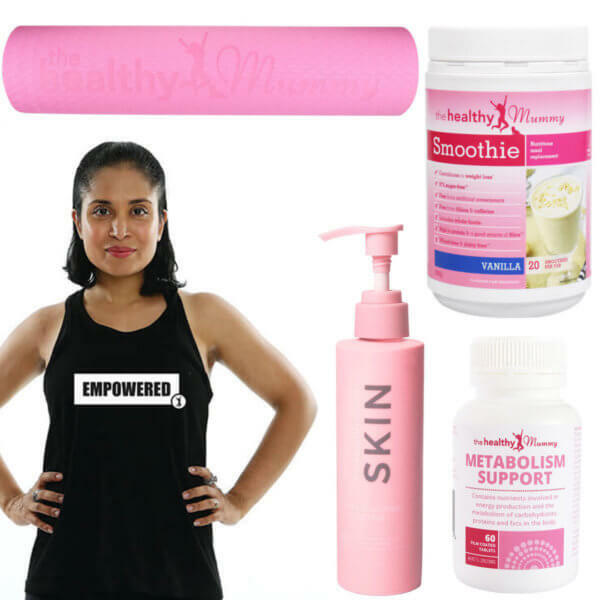 The Healthy Mummy Metabolism Support Formula has been formulated to contain nutrients involved in energy production and the metabolism of carbohydrates, proteins and fats in the body. Thiamine, which helps the body to metabolise carbohydrates and is essential for energy production. 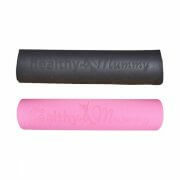 It is involved in the maintenance of nerve tissues and supports the health and function of the nervous system. Riboflavin, which is involved in energy production in the body and contributes to normal energy release from food. Nicotinamide, which helps the body to metabolise proteins, carbohydrates and fats and is a component of glucose tolerance factor. Iodine, which is essential for the manufacture of thyroid hormones, and regulates cellular oxygen consumption, basal metabolism and energy production throughout the body. Selenium, which plays a role in thyroid hormone production, required for normal healthy thyroid function, and has a role in the antioxidant systems. Pyridoxine (Vitamin B6), which is involved in the regulation of hormonal activity and supports a healthy immune system function. Pantothenic acid (Vitamin B5), which has a central role in adrenal function and cellular metabolism. Zinc, which plays a necessary role in the metabolism of androgens, oestrogen and progesterone. Zinc has antioxidant activity and may, therefore, assist in protecting the body from the damaging effects of free radical damage. Folinic acid, which is a form of Folate, and is involved in the formation and maturation of red blood cells and can assist in maintaining healthy blood. Magnesium, which is necessary for proper muscle and nerve function and is required for the production of energy in the body. Chromium, which is a main component of glucose tolerance factor. Mecobalamin (Vitamin B12), which is required for red blood cell formation, and is also involved in cell growth and replication. 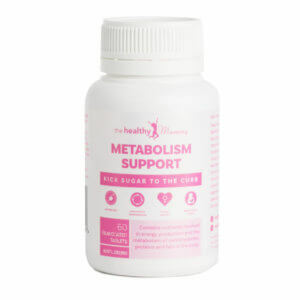 The Healthy Mummy Metabolism Support tablets can be taken while breastfeeding or pregnant. If you are taking other multi-vitamin supplements we recommend that you consult with your healthcare practitioner for appropriate dosages. Can I take the metabolism tablets if I am breastfeeding or pregnant? Can I crush the Metabolism Support tablets instead of swallowing them whole? Yes, you can crush the tablets if you prefer. 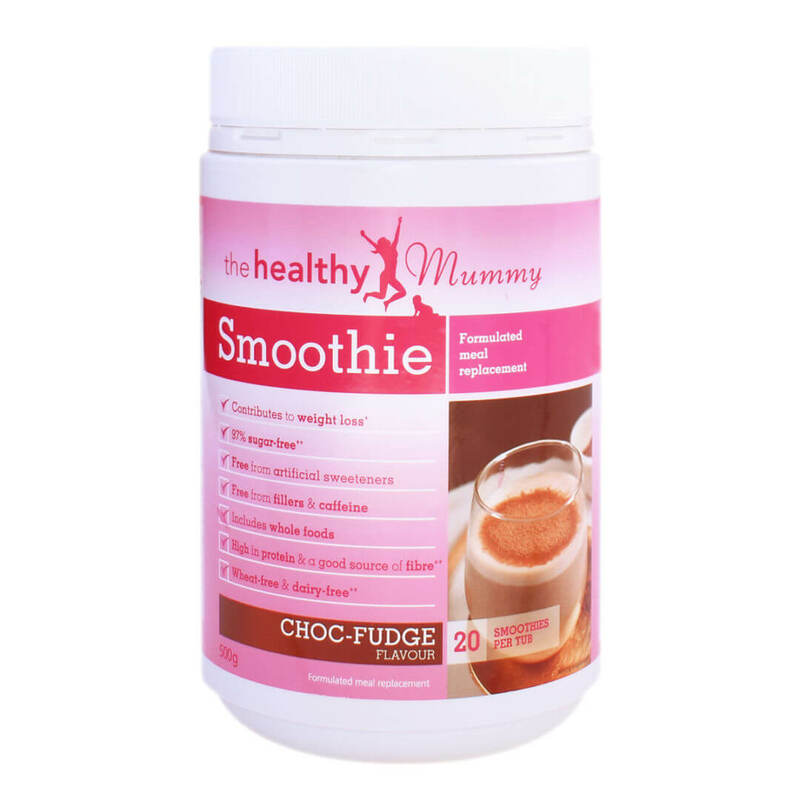 Some people have chosen to mix them with their smoothies. Will the Metabolism Support cause bloating or wind? 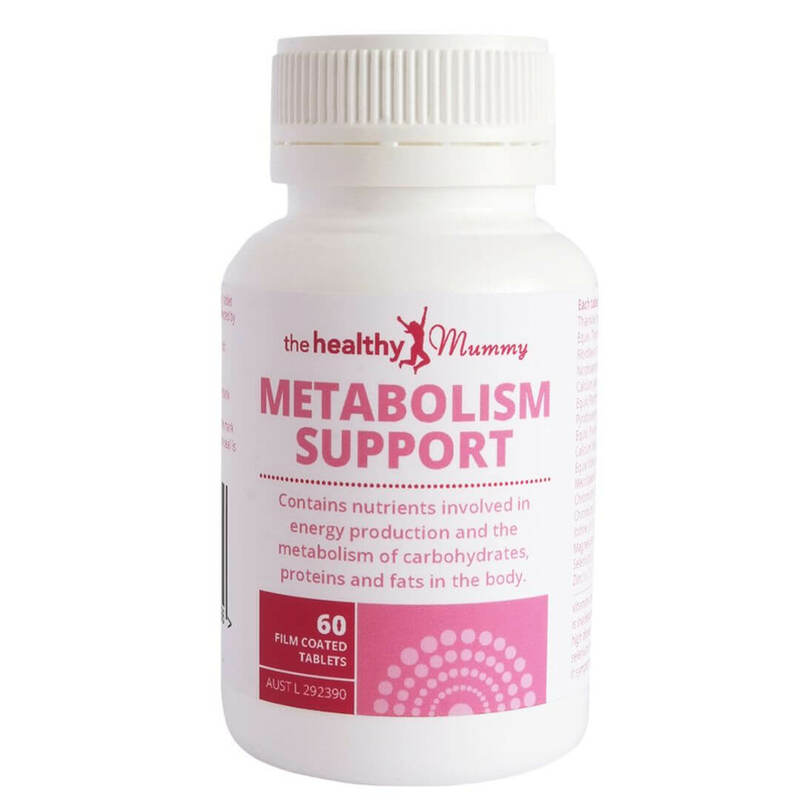 The Metabolism Support tablet is a combination of vitamins and minerals and therefore is unlikely to cause bloating or wind. However if you have not taken multivitamins previously, you may like to halve the dosage for a few weeks and then increase to the full dosage again to give your body time to get used to it. Does it matter if my Metabolism Support tablets are different colours? 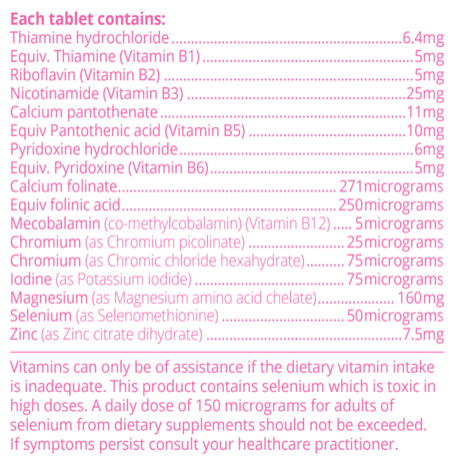 The colour of your tablets may vary slightly from bright pink to softer pinks. There is nothing wrong with the product and is safe for consumption. 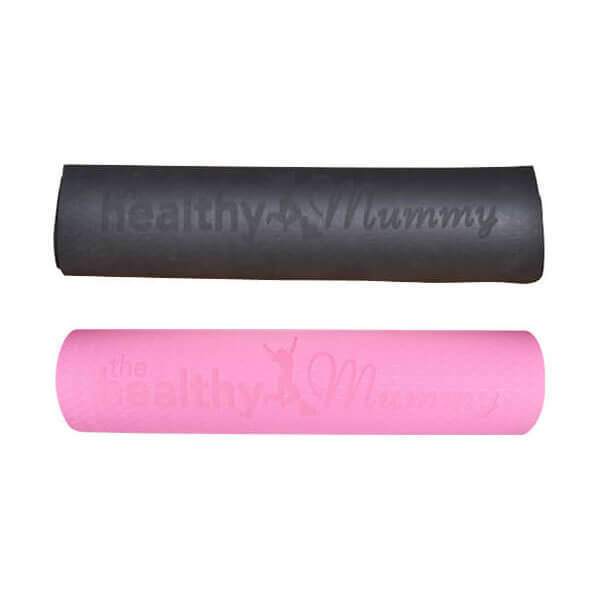 We at The Healthy Mummy believe in empowering Mums to live a healthier lifestyle. 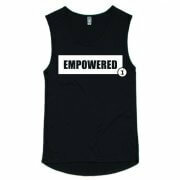 The NEW style tank top is stylish with a powerful message for Mums. Wear this top whilst working out and in pursuit of your weight loss goals!